One of the joys of homeschooling is YOU get to decide the schedule you keep, the curriculum you use and when you take your breaks! We have decided to start the school year on July 30th this year. This will allow us to take longer breaks when we want or need them. For example right now we are taking the last week of October off, an entire week at Thanksgiving, three weeks at Christmas and two weeks at Easter. And if everything goes according to plan, we will finished up with school by the end of May. So far the children are grumbling about starting so early, but when decide to take a day off and play because we have a day of great fall weather, they will be thankful. Douglas is starting high school. He is taking a track to head toward college. So we will be emphasizing the sciences and maths for him over the next couple of years. Spelling: Phonetic Zoo (Everyone is still learning those spelling rules that the public school system didn’t teach them). I think that will keep him busy! I am noticing many of my friends and I have become part of the Sandwich Generation. We are caretakers for our children and provide some form of care to our parents. My family has reached this stage of life. My father passed away almost two years ago and since that time my brother and I have been assisting mom. Her own health has deteriorated and she requires help with such basic things such as getting to appointments and shopping. We also are also dealing with Richard’s mom and dad having their own health issues. His father has progressing Alzheimer’s and is entering the end stages. His mom was diagnosed with breast cancer and underwent treatment. However, we have just found out the cancer has returned and the long term prognosis is not good. This is where I think living in the current generation is not a good thing for families. In past times families lived within the same general area so when sickness occurred or parents needed help, the entire family was able to help provide care. Now everyone is spread out so the care taking falls on one or two people. These caregiver’s can feel burnout or resentful because others aren’t stepping up to help out. Another factor is the smaller family size of our current generation. In the past, families had more children so the “burden” of taking care older family members was spread out among the entire family. I travel 90 minutes each way to visit my mom. To visit Richard’s parents can take up to 3 hours because of the traffic in the area. Thankfully my brother lives with my mother and I try to help out as much as possible. I am always torn though. It is difficult to meet everyone’s needs and I often feel guilty. I feel guilty when I know mom is struggling and needs someone. I feel guilty when I have to spend any extended time away from home because my children and husband miss me. I have a very difficult time balancing it all. The primary care giving for Richard’s parents falls on the shoulders of the brother that lives the closest to them. One saving grace is they live in a retirement community that has an attached assisted living facility and a nursing home which means as the care needs increase there will be help available. So tell me, how do you manage and cope if you are part of the sandwich generation? Nothing major was on the calendar for today, so Mandy wanted to renew her learners permit. We have had a crazy couple years and being able to get Mandy the required driving course and behind the wheel driving time didn’t happen. So today we headed off to the Black Hole known as the Maryland Motor Vehicle Administration. Have you ever seen the comic of the skeleton sitting at the MVA? I felt that was going to be us today. When we arrived we had to wait in line just to get a number to wait at the Driver’s Services area. Then we had to wait to see one of the employees to renew the permit. When we arrived there were only three windows open, out of the 12 available. The entire seating area was full and there were people standing around the edges of the room. Slowly more employees arrived and more windows were opened. Forty minutes after sitting down, we were called up to one of the windows. The application process was completed (in under 5 minutes), and Mandy headed off to the back room to take the written test. She completed the computerized test in about four minutes and was sent back out front to wait yet again. Ninety minutes later, with renewed learner’s permit in hand, we left the building and were able to escape that black hole. The second black hole we visited today was the financial aide office at the local college. I don’t know why, but government involvement always seems to create black holes. Mandy had a change of college plans and decided to go to the local community college rather than a larger university. This decision was based on several factors, the most important was receiving credit for her high school magnet program course work. We have been trying for three weeks to get the information from the FAFSA financial aid form transferred to the new college. The new college was not able to help us since they have no record of the information being received. Talk about a nightmare. The original college released the information three weeks ago, but we were not able to add the new college to the form. I called the FAFSA information center FOUR different times. Each time I was told the problem was fixed and we would receive notification the change was complete. Each time the notification showed the form was modified, but there was no change in the school. After spending more time on the phone with FAFSA and the original college, I THINK the situation is fixed. I am still waiting for the final confirmation to arrive. It only took four more phone calls to the FAFSA center, three phone calls to the original college and another phone call to the new college. We should know Monday if everything is good to go. If not, I will need to bump up the chain of command and speak a manager several levels higher. 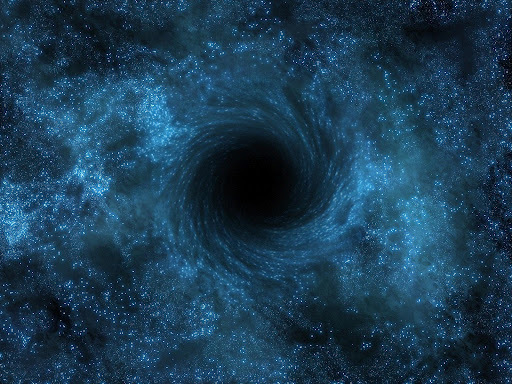 Have you had any experiences with black holes recently?